I stamped the image on a piece of X-Press It card stock and I coloured it with Copics. 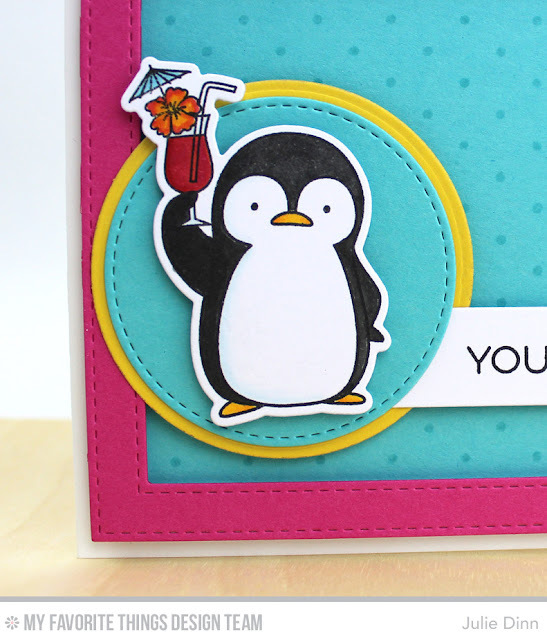 I die-cut the image with the Penguins in Paradise Die-namics. The background was stamped with the Swiss Dots Background stamp. I love the subtle pattern this sweet stamp provides. Be sure to check out the MFT Challenge Blog to see all the fabulous entries for this week's fun challenge, and don't forget to get your entry in! 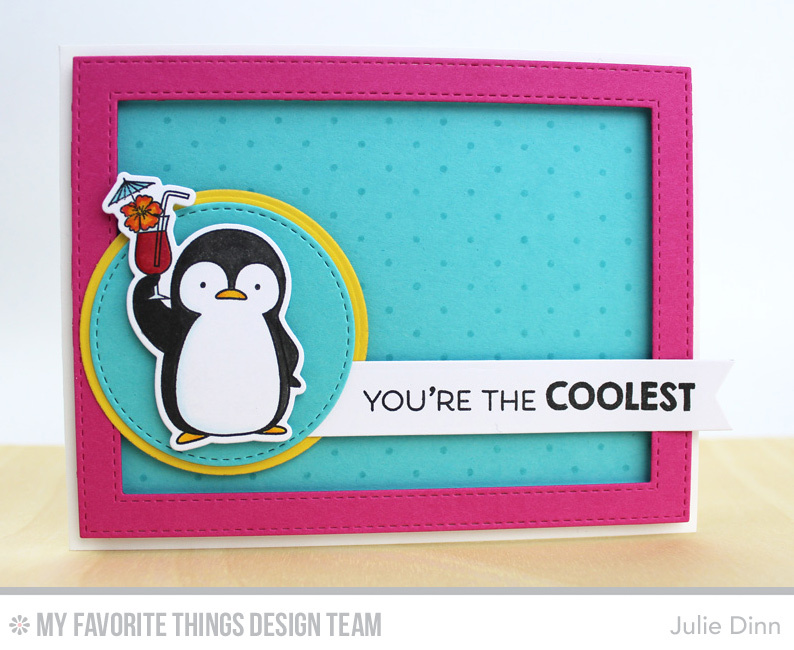 Love this color combo and of course the penguins are some of my favorites.